The U.S. Postal Service (USPS) has raised the rate of the “Forever” stamp to 55 cents, an increase of five cents. 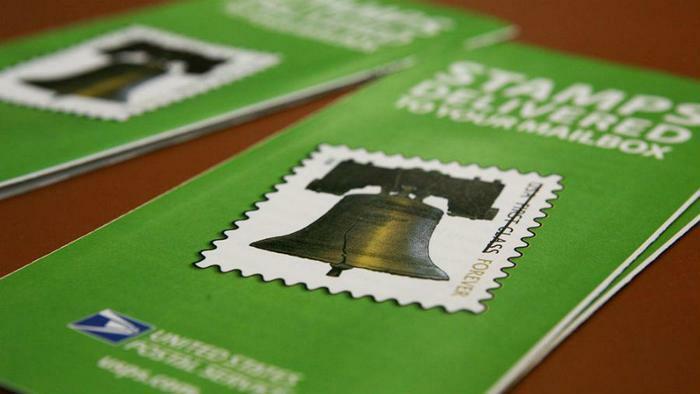 A book of Forever stamps will now cost $11. The agency has also raised the prices for flat rate boxes. The cost of a small flat rate box is now $7.90 -- up from $7.20. The added costs are part of the agency’s plan to pull in “needed revenue” following a net loss of $3.9 billion in 2018. That figure represented an increase of one billion compared to the year before. The price increases follow criticism from President Trump, who has suggested that the Postal Service is “losing a fortune” by not imposing higher shipping rates for online retailers such as Amazon. “Why is the United States Post Office, which is losing many billions of dollars a year, while charging Amazon and others so little to deliver their packages, making Amazon richer and the Post Office dumber and poorer? Should be charging MUCH MORE!” Trump quipped. Although the price increases are nominal, the USPS' board of governors say the new rates will keep the Postal Service competitive. The agency noted that the primary cause of its current financial instability is the fact that consumers aren’t sending as many letters as they used to. ”The secular mail volume trends continue largely due to electronic diversion and transaction alternatives. We compete for business in every product line, every day from the first mile to last mile,” Postmaster General and CEO Megan J. Brennan said in a statement. “We are aggressively managing our business and continuing to focus on serving our customers and communities. However, the flawed business model imposed by law continues to be the root cause of our financial instability. We are seeking reforms that would allow the organization to reduce costs, grow revenue, compete more effectively, and function with greater flexibility to adapt to the marketplace and to invest in our future,” Brennan said. While the price of the “Forever” stamp will go up, the cost of a postcard will stay the same at 35 cents, and the cost per additional letter ounce will actually decrease from 21 cents to 15 cents.